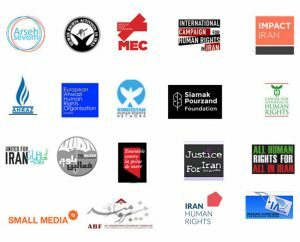 A group of 19 human rights organizations, including Justice for Iran, call on the international community and United Nations bodies to protect the rights of Christians in the Islamic Republic of Iran. In the summer of 2016, Iranian authorities increased their persecution of Christians, honing-in on converts from a Muslim background. Between May and August 2016, in locations across Iran, security forces arrested a total of 79 Christians, according to informed sources, family members, and friends. The majority of those arrested were interrogated and detained for periods of time ranging from a few days to months. At the time of this release’s publication, some of these 79 Christians remain in detention and have still not been formally charged. Rights groups believe the true number of Christians apprehended by the authorities could be notably higher, as many arrests would have gone unreported. In 2012, the Iranian government instituted polices to bar converts from Muslim backgrounds from attending services in official churches. Instead, Christian converts are forced to gather in informal groups known as “house churches”. These gatherings are considered illegal by authorities and are often raided. In August 2016 alone, security agents allegedly raided at least four house churches, and house church members were arrested and interrogated. The individuals responsible for house church organization often face charges of “acting against national security through the establishment of house churches”. A group of four converts from Rasht were arrested in May 2016 and charged with “acting against national security.” A verdict is still pending from their hearing on October 15, 2016. Three of these men also faced charges of drinking communion wine and are appealing their sentences of 80 lashes each. Many others of those recently arrested are still waiting to know what charges will be brought against them. Iranian authorities have put pressure on Christian leaders to emigrate, either through direct threats or through intentional harassment. Some church leaders have reportedly been told during interrogation that they will face 5 to 10 years in prison, unless they leave the country. In other instances, Christians have said that harassment has taken the form of a daily summons to security offices for questioning, confiscation of documents such as identity cards to prevent the victim from buying or selling property or cars, or forcing the Christians out of their jobs. This pattern of treatment facing Iranian Christians and converts violates Iran’s constitutional and international legal obligations. 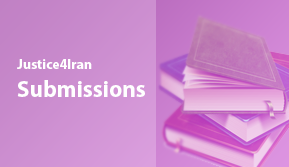 Article 14 of the Islamic Republic’s constitution contains provisions which uphold basic religious rights for some non-Muslims, including Christians, Jews, and Zoroastrians. Article 19 also enshrines the principle of non-discrimination and Article 23 prohibits authorities from investigating a person’s beliefs, or taking action against someone solely on account of his or her beliefs. As a state party to the International Covenant on Civil and Political Rights, the Islamic Republic of Iran is obligated to ensure non-discrimination under Articles 2 and 26, and freedom of thought, conscience, and religion under Article 18. Article 18 specifically protects the right of a person to change their religion. 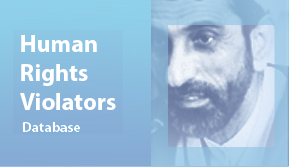 (3) The Islamic Republic of Iran must ensure that the values enshrined in the Iranian Constitution, the Universal Declaration of Human Rights, and the International Covenant on Civil and Political Rights are upheld and that the right to freedom of religion and belief, including the right of conversion and of non-belief, for all its citizens and residents of the country is to be respected.